Have you ever heard that notion about how a spiritual person is all relaxed and that their zen-level is a measurement of how evolved they are, that the less they get triggered, the more they have it together? We are humans with emotions and there is nothing wrong with not having it all together at all times. Every living being gets triggered from time to time. The question is how do we deal with them? We can either act them out unconsciously or leverage them. The latter is what will turn everything around for you. Learn how not wasting perfectly good triggers is your way out of emotional suffering. We will be diving into the second key to how we can overcome love addiction. In our last episode, we started with key number one and the next one we’ll talk about the last key. Before I start with today’s content, I think it’s time to make a statement. The work that I do is highly inspired by my own process of healing when undergoing intense Primal Therapy at the Arthur Janov Primal Center in Los Angeles. Arthur Janov has brought a remarkable form of therapy to the world. He passed away and I have had the absolute honor to directly work with his master therapist. I’ve had probably more than 100 open-end sessions that usually lasted between two to three hours and attended many group sessions on top of that. The longer I’m doing it, the deeper I’m going as we can only take away one layer at a time. Once one layer has been dealt with enough, another one will pop up. I wanted to do the therapy in depth so I can fully understand where my pain comes, heal and integrate it in order to stop acting out in life, and also to finally step into my power. Through deeply feeling my feelings over and over again, I was able to rewire my system in the sense that not only my pain goes away, but the involuntary impulses that would make me act in a certain way would lessen. I went that deep myself, I am now able to understand people, their pain and behavior much better and emphasize with them on a whole other level. I know that when people act out, it is because there is massive pain behind it. I’m able to hold space for them so they can deal with their own healing instead of me being triggered and react out. I call myself an emotional recycler and I talked about this in episode thirteen in detail. What I took from this therapy is what inspires the work I offer. Here’s my statement: I am no therapist and I don’t proclaim to be one. I’m simply a woman that has gone down a road that led to healing, and now I help other people to heal too. I believe with all my heart that there is an area where I can leverage what I have learned and pass it on to you. I know my limitations and boundaries and I will always adhere to them. Should I feel that my client needs more profound therapy, I will make sure to redirect them for their safety. I consider myself a normal neurotic, meaning that I never had severe mental issues. I never tried to seriously kill myself. I never had to take medication. I have never self-harmed myself in more obvious ways such as, for example, eating disorders or cutting myself. 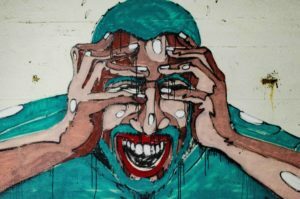 As a so-called normal neurotic, I was able to deal with the pain that surfaced when I’ve been triggered. It was hard and challenging, but it was possible. For some people, the pain of the early absence of love and another form of trauma is so impactful that severe mental issues can result from that. If that is the case, I will always recommend doing professional therapy just to be safe that you are in good hands. There is nothing wrong with having therapy. As a matter of fact, it’s oftentimes vital. However, what I will discuss in this and the next episode is what I took from my own healing process. I feel that there is a tremendous benefit in it for you as well. Having said that, let’s dive into our topic. The second key to overcoming love addiction, which is – to leverage the incredible value of triggers resulting from intimate relationships but also from life in general. Let’s start by discussing what I mean when I say the word trigger. Triggers are something that sets off a memory or a flashback, transporting you emotionally back to where the original trauma happened. Imagine it like this. Inside of ourselves, as we have learned, we have quite an amount of repressed, unresolved pain and feelings of all kind. Life gives us situations that are orchestrated for us to provoke that pain and let it surface. Why? We can heal them. This is where you want to check in with yourself and have a good look at how you perceive life’s challenges. There are only two things. You can either have an attitude of, “Why is this happening to me? I only attract guys that cheat on me. I’m a victim of my circumstances. Things are out of my control. There’s nothing that I can do,” or you can say, “Why is that happening to me? Why does this show up in my reality? What does that want to show me?” You’re simply shifting your perception from victimhood to responsibility and ultimately, empowerment. If you remain a victim, you won’t have the right attitude and resilience to deal with what comes up as you’re not in a state of empowerment. If you shift that attitude to take responsibility, you will create more choices. Triggers are worth a million-dollar therapy. Many spiritual schools say that the fewer you get triggered, the more spiritually evolved you are. That might be true in the end, but it creates the assumption that we have to be able to not be triggered without having worked through them. The trigger becomes almost an enemy. We try hard to be cool, to be Zen. On the outside, you might succeed in appearing like that, but your system is on freak-out. The more you try to be cool and chilled, the more your system will be under alert. Triggers are gold. Working with triggers is really spiritual. Why are triggers valuable? That’s simple to explain. Triggers put you in the perfect or ideal feeling zone. In the feeling zone, magic happens. The feeling is our healing. Having access to feelings, meaning being able to feel, is the hardest part of it though. To have access to these feelings in its purity is not an easy thing. As you know, we’re not used to feeling, we are used to repressing feelings. This is how we coped with overwhelm when we were little. It’s a survival mechanism. It had its legitimacy because as a little child, it was overwhelming. It’s how we coped with something that seemed impossible to deal with, such as the potential threat of not being loved. Repressing feelings though does not make them go away. They amplify, meaning they grow. They want to be noticed at some point. If we keep repressing them long enough, we’ll have to find ways to keep them down as they will surface at some point or another. That’s when we become liable to addictions. There are even functions in our brain that will ensure repression, simply as a means of survival. The moment we have access to what we are feeling, we can stay with it and dive into it. This is what will relax our nervous system and ignite transformation. The triggers will bring us there quickly because it is acute. In the moments when we do not have access to our feelings, meaning where we know there is a feeling, but we can’t feel it, it means that we are either disconnected or overloaded. Disconnected when the feelings are either too much to be felt at a given moment, and we, therefore, have to repress it. When we are in defense or in denial, it’s hard to feel or to have access to feelings. When we’re overloaded, we missed feeling for already quite a while. Meaning that there were many feelings that wanted and needed to be felt, all kinds of feelings, but we missed the chance to give space to them. That’s how we go into overload. Neither of these two states will allow us to dive deeply and purely into a feeling and stay with it so we can ignite connection and transformation. The ideal feeling zone brings us into a feeling that is not scary, even if you still think that feelings are scary. We often mistake feelings with suffering. Not having access, meaning to be in either two states of disconnection or overload is what creates suffering. Feeling a feeling in its purity is nothing but relieving. It has a quality that truly calms our nervous system and that is what we get when we choose to feel instead of repress. Our nervous system calms down. When our nervous system calms down, we can see more clearly again, we can take the right decisions, and consciously choose our next steps. If our nervous system is agitated, which is the result of triggers, we often don’t see clearly. We react out because our system does whatever it has to do to get out of the potential threat state. It is involuntary and automatic. If we want to start taking control of our life, we have to be the one in control and not let our frightened nervous system be in charge of our behavior. Think of it like that. Every time you let the opportunity of a perfectly good trigger pass, you prolong your suffering. 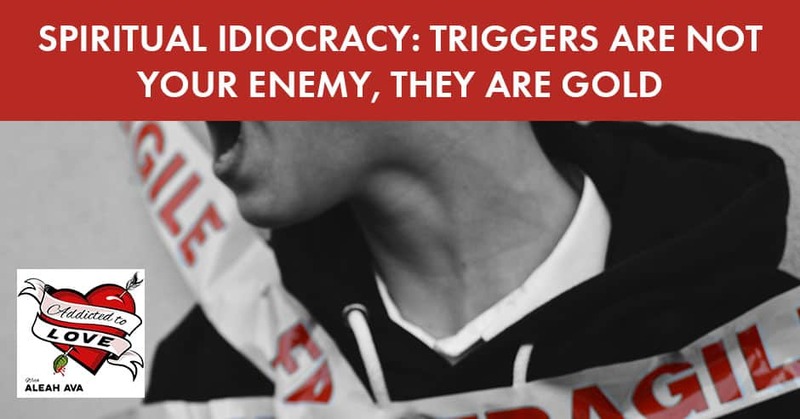 Every time you choose to use a trigger consciously, you are on the winning side. You are one step closer to healing. If you are unaware of the value of a trigger, you will miss the incredible opportunity to heal an aspect within yourself. You will instead react out and not feel the pain behind the trigger, and therewith create more suffering for yourself, often also for the people around you. Triggers have such a high value once you recognize how they bring you into your feelings, and then you make a choice. You either use triggers to feel instead of involuntarily acting out. This is what I mean when I say, “Let us leverage the incredible power of triggers. Let’s invite them. Accept them. Work with them. They are your compass to healing.” In my program, you will learn how to take triggers and feel them. You will also look at all these subtle layers we are acting out and how this causes more pain than love. If you want to make a difference in this world, start with yourself. I can guarantee you that through making the choice of taking 100% responsibility and start feeling your feelings instead of reacting out, your whole life will change for the better. 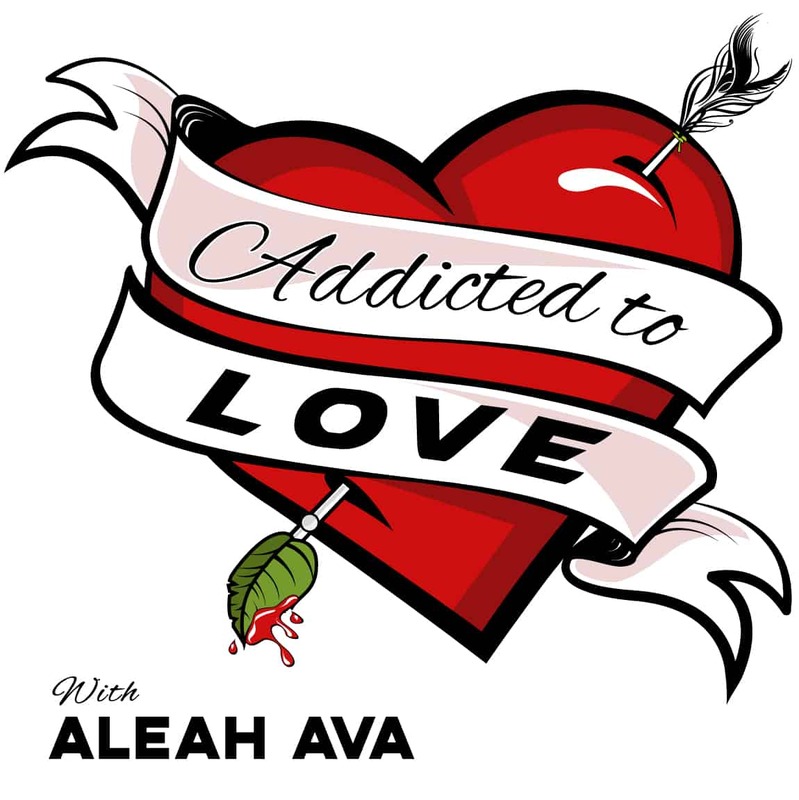 Head over to AleahAva.com and click on Membership. Sign up for our amazing circle of women who have taken the decision to heal love addiction and to feel instead of acting out. Thank you for reading and have a wonderful day!